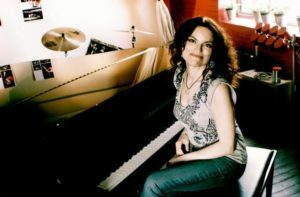 A native Italian, Roberta Gambarini has been turning heads since her 1998 move to Boston, Massachusetts, and concurrent third-place finish in the Thelonious Monk Jazz Vocals Competition. Her first domestic release, Easy to Love, was nominated for a GRAMMY Award in 2006. A vocal virtuoso, she has incredible technique and a warm tone, owing to her instrumental approach.